Wyland Foundation’s annual “Water is Life” mural and art challenge always seems to attract a sizable number of entries — some 3,500 last year, according to organizers. 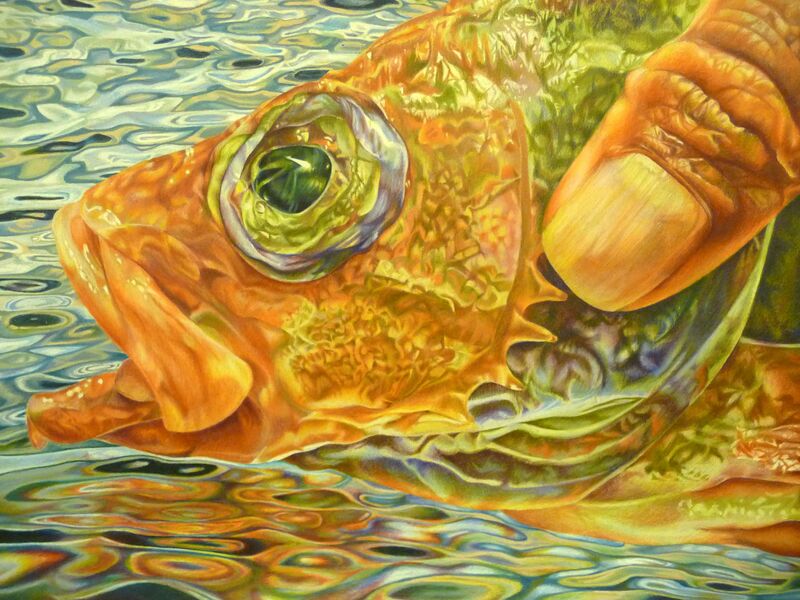 One of last year’s winning entries, “Catch and Release,” was created by 11th grader Sayo Watanabe of Elmwood Park, NJ. I’m always impressed with many of the winners in the individual competition for grades 1-12 along with collaborative work on a variety of murals. 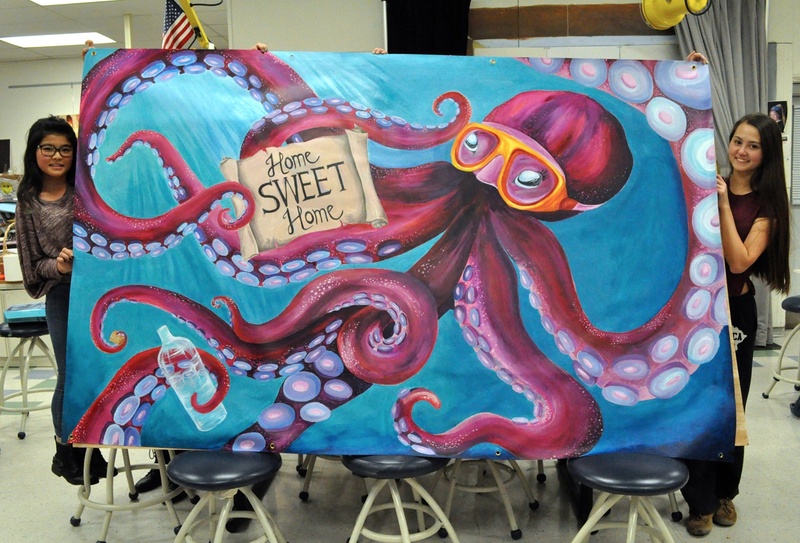 Last year’s theme for the contest was “Our Ocean.” The foundation provided 100 packages of art supplies, including a large canvass. Also included were educational materials for students and teachers to study ocean issues and work together to paint a mural. Theme for the 2015 contest will be “Our Coast and Climate.” For details about entering individual entries and qualifying for free art supplies, visit Wyland’s website. The deadline for this year’s contest is Nov. 25. Below are more of the individual winners along with the winning mural. 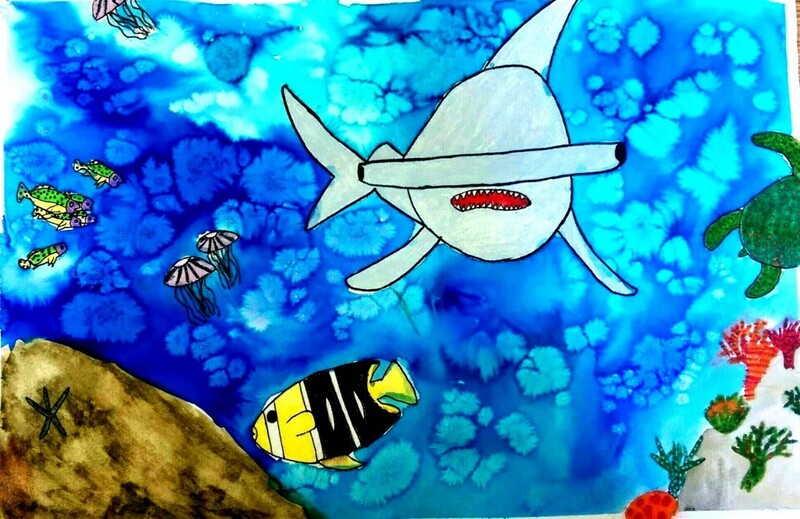 “Ocean Life” by third-grader Faith Martin of Wyoming, Ohio. 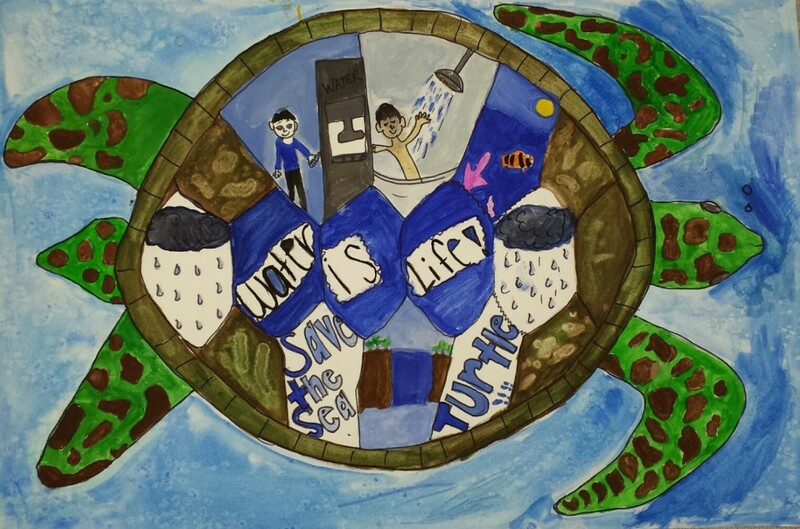 “Saving the Sea Turtles” by fifth-grader Sarah Khan of Sugar Land, Texas. The winning mural by Bergen County Academies of Hackensack, N.J.